Maloy Mobile Storage specializes in providing the Texas Panhandle, Eastern New Mexico, and Oklahoma with all the storage solutions residential and commercial customers need. In fact, we’ve been offering reliable services and high quality, durable products to the area for over 20 years. We stand apart from our competitors because we offer some of the best storage solutions and our Amarillo location is visible and easily accessible. Our family owned and operated company cares about your satisfaction, and most importantly, we make sure your storage needs are fully met. We have storage cargo containers you can buy or lease. We have what you need. Continue to browse our site to learn about our products, services, available unit sizes, and more. Our heavy-duty steel shipping cargo containers offer secure, rodent and weather proof storage options for homes, businesses, farms and ranches throughout the Texas Panhandle. 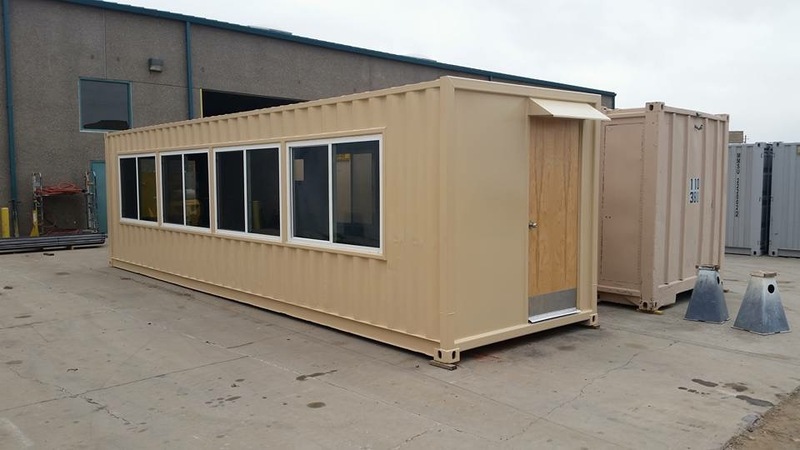 We can customize your heavy-duty steel shipping cargo container because we have a complete fabrication plant which can build your design to your specifications. Shipping containers are great for everything! They are extremely strong, virtually theft-proof, weather tight and portable. They lend themselves to small and extreme modifications while maintaining structural strength. They are widely used as a base for large manufacturing projects. The need for storage containers is universal. Needed in virtually every industry and sector of life. Maloy Mobile Storage leases and sells our containers and services to all levels of Government, Military, Homeland Security, Law Enforcement, Manufacturers, Retailers, Construction and Agricultural businesses, and to Private Individuals. Please visit our yard located at 6340 Canyon Dr., Amarillo, TX 79109. Or, give us a call at (806)-463-1100 or (806)-679-1123. You will speak with a knowledgeable, courteous representative that will discuss your needs and develop a custom quote for you. Storage containers can provide immediate and secure storage. Modifications can make them specific to customer project needs. Maloy Mobile Storage is the best source for all your storage container needs.